I first read about the Janesville “Mystery Doll,” or “Mystery Boy,” a long while ago in a book about Minnesota roadside oddities. 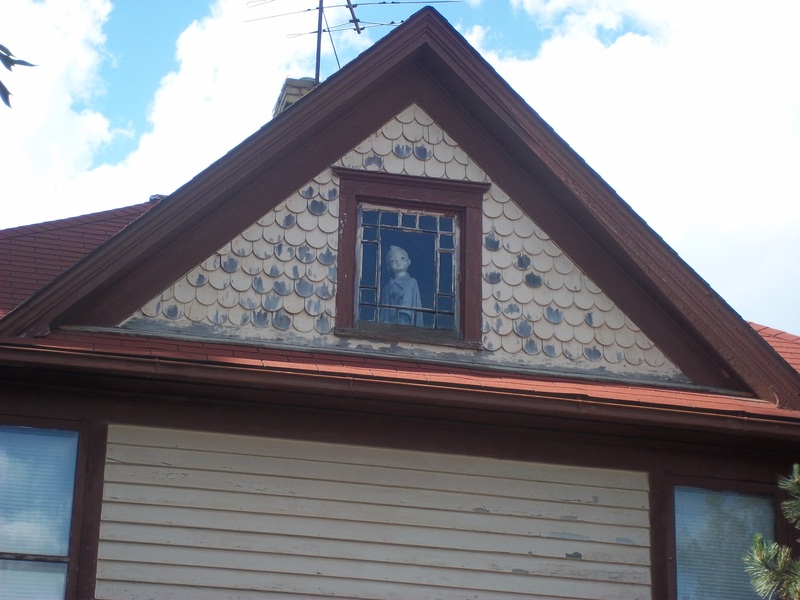 And when I drove through Janesville, MN during a summer day in 2010, there he was, in that attic window, staring out over town, creepy and mysterious, just like the elusive back-story on why he was there. I grabbed the above photo and got the hell outta there before he came to life and terrorized me. A little bit about Janesville first. It’s a small town, maybe 2300 people, sitting in southern Minnesota on US Highway 14 between Mankato and Owatonna. It’s sometimes confused with Janesville, WI. 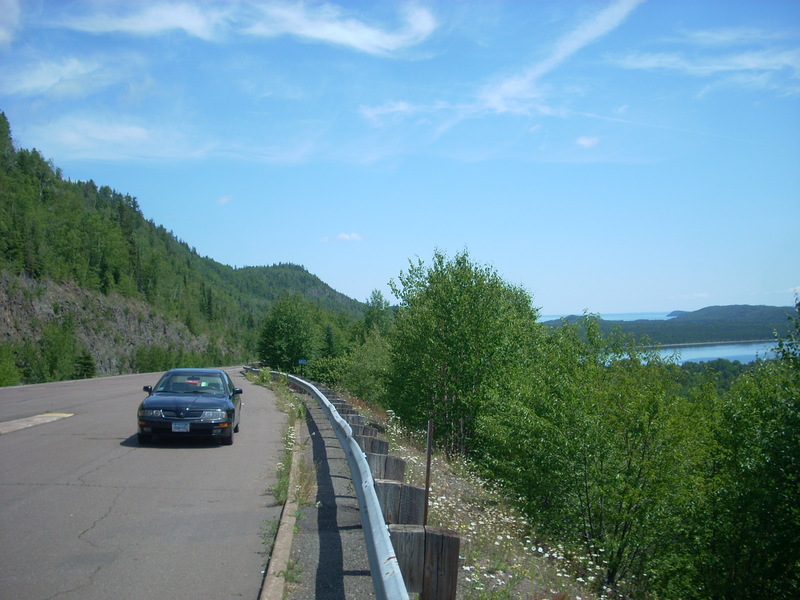 Otherwise, it’s just a quiet little Minnesota town, with a strange, curious secret. For decades, a doll had been perched in an attic window of an old house on the edge of downtown. 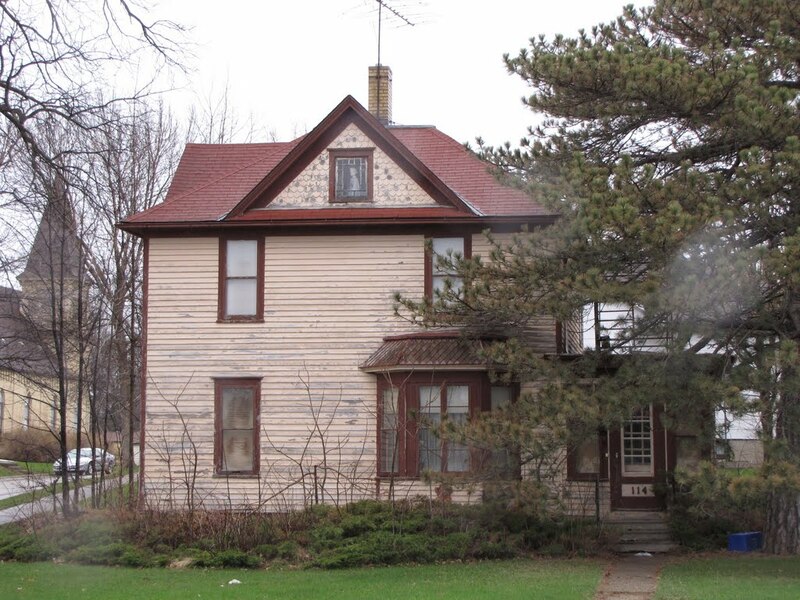 The owner of the house, an eccentric old timer named Ward Wendt, was always coy about the doll’s origin. Rumors have been buzzing around town for over 50 years about the significance of the doll. Some say the doll was put up there in memory of a child who was abused/abducted/murdered; some say the doll is a demon who curses those who look at it; some feel the whole thing is an elaborate prank, and many more stories can be found over at StrangeUSA.com, a website that focuses on all things supernatural and odd. There is also a great write-up about it by a Janesville local here. The mystery doll is an enduring, curious legend in this small Minnesota town. The meaning behind the mystery boy is known to very, very few. It is said that the doll’s origin story is buried in a time capsule that won’t be opened for another 200 years. Janesville residents all have their own stories as to “what they heard,” but as the owner of the house died in 2012, it looks like no one reading this website will be alive to find out. So what happened to the doll now that the owner died and the house was sold off? According to the doll’s facebook fan page (yes, that actually exists), the doll has been placed on display at the Janesville Public Library in a window looking out onto the corner of Main Street. So the story lives to be told to yet another generation. Although the doll now sitting in a library window display doesn’t have the same effect as an old, creepy attic, it will still continue to evoke conversations among residents and tourists alike. While in the area: Janesville is just down the road from Owatonna, which is home to some great roadside attractions like the Louis Sullivan-designed “Jewel Box” bank, the Three T-30 Jets statue, and Warrior Jesus. Great story, keep up the great work! !